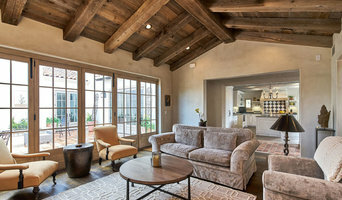 The South Bay's Top Quality Interior Design Firm I 4X Best of Houzz! Melinda Mandell Interior Design collaborates with discerning Silicon Valley clients to create compelling luxury interiors. MMID utilizes thoughtful planning and intentional details to custom tailor spaces that nurture body and soul. Melinda's value lies not only in her aesthetic, but in her enthusiasm, intuitive nature, and the intentional details in every element she designs. She truly cares about the quality of her clients' day-to-day lives. 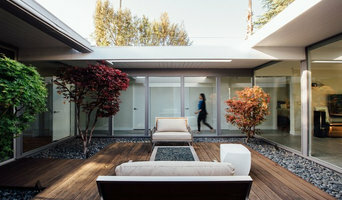 The goal of every project is a home that nurtures body and soul, reflecting her clients' unique personal style and philosophy for living. Vision, Experience and a Commitment to exceeding our clients' expectations makes Alison Whittaker Design a professional design partner that can elevate a space from ordinary to extraordinary. We believe your home is your essential foundation - an artful canvas of personal expression. We approach projects with a sense of purpose and exuberance, for us each design is an opportunity to create the extraordinary. Whether updating an existing home or starting from the ground up, our design team strives to create designs that beautifully support our clients' with innovative design solutions. We value developing a collaborative relationship and are dedicated to providing the best possible experience throughout the design process. My team and I understand that your home is more than a collection of beautiful design elements. It is where you live, entertain friends and family, raise your children and spend a significant portion of your life. Our goal is to implement a design that is a reflection of your individual tastes and desires – a home that is truly a canvas of your personal expression. Located in downtown Saratoga, we monitor every aspect of your project to create a smooth and enjoyable experience. Our trademark attention to detail and skillful blending of artistic materials and furnishings ensures your project is a success on every level. We are passionate about providing a unique brand of artistry, imagination and creativity to each design that enables you living your best life. Yukari Haitani is an award-winning, Certified Interior Designer in California (CCIDC certification number 6476), and a Certified Kitchen and Bath Designer recognized by the NKBA. Yukari hails from Tokyo, a space-conscious environment that taught her to maximize limited space without sacrificing aesthetics. "I don't believe you always have to compromise," says Yukari. Thoughtful interior design can solve problems (and extend your budget) in surprising ways. Yukari's exposure to multiple cultures has inspired her to bring international influences to her designs. She developed an early appreciation for Chinese and Korean antiques after visiting Hong Kong and Korea, and her major in college was French Literature. Yukari worked for a showroom and export department at a high-end interior fabric company in Japan, and earned her Interior Design and Kitchen and Bath Design Certificates in Redwood City, CA. She has also studied the Americans with Disabilities Act and Aging in Place, which she applied to two projects she designed for an elderly couple and a client with special medical considerations. Yukari made their lives easier, which is an approach she uses in every project. "I believe in the three Es," she says. "If a house is easy to use, easy to clean, and easy to enjoy, the people in it feel comfortable and have fun." Yukari's work has been published in Designed in Northern California (American Society of Interior Designers), Taste: Food & Design (Interior Design Coalition of California), and California Home + Design magazine. 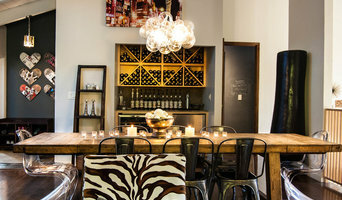 JG Hellmuth Interior Design is an all-in-one design company. Jeffrey creates from your design input: a mood, a style, a brand, or a color. And while function is king, he will make everything fit -- seemlessly blending his designs into the existing architecture. I can create new construction or remodeling plans and finish your final interior design and decor to complete your look.